LPNs function as contributing members of the health care team by providing compassionate care and respect for patients’ rights. They assist with the promotion of health and prevention of illness throughout the life span. As the profession evolves, nurses do more than just attend to patients’ needs. Their multiple professional responsibilities include patient advocacy, communication, community education, and management of CNAs, orderlies, and other LPNs. LPNs work in various healthcare settings, including emergency care, medical-surgical units, neurology, orthopedics, oncology, psychiatry, and geriatrics. The Mississippi Board of Nursing regulates the profession and ensure licensed practical nurses operate with the guidelines of the state’s nursing laws, rules, and regulations. Graduates of Mississippi’s Board approved practical nursing education programs are prepared to participate in the planning, evaluation, and implementation of patient care plans in hospitals, long-term care facilities and other health care settings. Prospective students should be careful to enroll in a program that is accredited by the Board of nursing only to be eligible to take the NCLEX. There are currently 15 board-approved programs in various cities across Mississippi. The curriculum, in accordance with the Board’s requirements, include classroom instruction, service learning opportunities, and supervised clinical activities in state-approved hospitals and other medical facilities. Some of the courses you’ll complete while enrolled in a practical nursing class include practical nursing concepts, pharmacology, law and ethics, industry trends, leadership, professionalism, medical-surgical nursing, nutrition, pediatric nursing, mental health, nursing transition, body structure and functions, and maternal-child nursing. The supervised clinical experience affords students a unique opportunity to see the medical team in action and play an active role in patient care. Instructors supervise the entire process as students integrate their knowledge into the real-world setting of hospitals and nursing care facilities. The classroom and clinical sessions foster the development of communication, problem-solving, and critical thinking skills in all students. To qualify for entry during the fiercely competitive enrollment process, students must be 18 years or older with a high school diploma or GED scores. Applicants must also submit a composite ACT score of 16 or more and pass the school’s entrance exam. Students accepted on a provisional basis must them obtain criminal background clearance, TB clearance, and pass a drug screen and physical exam. All students must obtain immunizations, Healthcare Providers CPR, and earn a grade C or more in the prerequisite courses, such as anatomy and physiology, chemistry English composition, college math, medical terminology and any other course the college deems fit. Graduates must apply to the Mississippi Board of Nursing to take the NCLEX-PN. Successful completion of the program does not guarantee your eligibility to take the exam. The Board reserves the right to deny the application of any person convicted of a criminal offense. 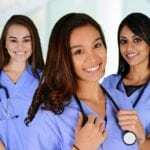 Duration and Cost of Training: Practical nursing programs in Mississippi usually take 12 to 14 months to complete based on a full-time schedule. Part-time students not only require more time to complete the program but also spend up to 25 percent more that full-time students. Training costs $11,200 on average for tuition only. Students must cover the costs for textbooks, lab supply, workbooks, software, uniform, liability insurance, preadmission exams, graduation fees, and preadmission requirements, such as criminal background screening, immunization, TB test, physical exam, drug screening, and prerequisite courses. Contact the program coordinator for more information on the tuition policies and additional charges. Financial aid may be available through Federal loans, grants, scholarships, and private loans for qualifying students. Applicants for LPN licensure by examination must submit applications to both the Board of Nursing and register with Pearson Vue for the NCLEX. Pearson Vue facilitates easy registration online or by phone. The registration fee is $200 payable via credit card or debit card. The Board will grant authorization for you to take the exam after reviewing your completed application and official transcript – you must also register for a criminal background check. Pearson Vue will deliver the Authorization to Test (ATT) to the email address you provided during registration. Keep a copy of the ATT as it must be presented at the test center to be admitted to the exam. Administrators will not admit a candidate for examination without the ATT. The ATT contains your candidate identification number, authorization number, and expiration date. You must schedule and take the test within the validity dates – the dates cannot be extended for any reason. If you do not take the test within the dates, you must submit another registration and fee. Although the Computer Adaptive Test scores in real time, you will not receive results at the testing site. Pearson Vue will transmit the results electronically to the Board of Nursing. The Board will mail a diagnostic profile if you fail the exam or display a license number on the Board’s website (within 10 business days) if you pass. The diagnostic profile reports your level of performance for each area of the test plan. You may use the information provided to determine your strengths and weaknesses in preparation for retaking the exam. Mississippi now offers NCLEX quick results for candidates. The unofficial results do not guarantee licensure. Candidates must await official confirmation of licensure from the Board before they begin practicing as licensed nurses. The time for official notification is 7 to 10 days based on the criminal background check process. Mississippi’s Board of Nursing Rules and Regulations permit a candidate to take the NCLEX a maximum of 6 times within 2 years of graduating from an approved nursing education program. There must be at least 46 days between each attempt to take the exam. Nursing student graduates must not assume nursing duties until the Board issues an official license. 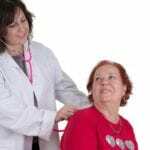 They may perform the duties routinely performed by a nursing assistant. The Board defines the practice of nursing as the performance, for compensation, of services requiring basic knowledge of nursing procedures which do not require the substantial skill and knowledge of a registered nurse. Mississippi’s participation in the Nurse Licensure Compact means applicants who declare the state as their primary state of residence, with suitable evidence, will receive a multi-state license to practice in other Compact states. LPNs may only hold a license in one Compact state as determined by their primary state of residence. 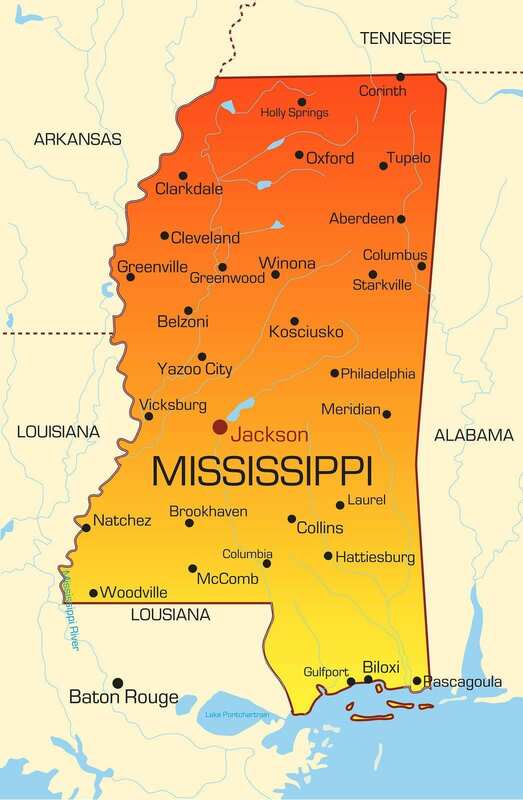 LPNs from other compact state have the privilege of practicing in Mississippi (abiding by the Nursing Practice Law of this state) for a period of 90 days as long as their licenses are in good standing. Thereafter, the licensee must apply for a license if declaring Mississippi as his or her primary state of residence. Applicants for licensure, who cannot submit a driver’s license with a home address or voter registration or federal income tax return to declare Mississippi as the primary state of residence, will receive a single-state license. Mississippi Board of Nursing (MSBN) is authorized, by law, to commission fingerprint-based criminal background history checks on all applicants for licensure. The CBC will involve a records check of the Mississippi central criminal database and the Federal Bureau of Investigations criminal history database. Applicants must complete the Student CBC Registration after submitting an application for licensure. The CBC fee is $75 payable using a credit or debit card bearing a Discover, Visa, or MasterCard logo. Onsite fingerprinting, performed by the MSBN staff, at the school of nursing is available for Mississippi residents. If you completed an out-of-state nursing program but reside in Mississippi, you should contact the Board to schedule an appointment for fingerprinting. If you reside in a state other than Mississippi, you should contact the Board for fingerprinting instructions. All applicants must provide two forms of ID during fingerprinting. If you’ve been convicted of or pled guilty to any charge, you should furnish the Board with certified copies of all court records, expungements, documents demonstrating release of probation, evidence of fines paid, and a written detailed explanation of the circumstances surrounding each criminal offence. Complete the application form. Incomplete applications will be returned. Indicate your primary state of residence. The MSBN will issue a single-state license if Mississippi is not your primary state of residence. Enclose the $60 application fee using a check or money order payable to the Mississippi Board of Nursing. Add an extra $20 for IV therapy expanded role if applicable. Indicate your social security and number and phone number on the payment. Provide evidence of completing a nursing program in the form of an official transcript sent directly from the registrar to MSBN. If you completed all the requirements for graduation but have not formally graduated, you can request official documentation of your eligibility to graduate – from the registrar directly to the MSBN. The document must bear an official school seal, and the transcript must follow within 30 days. Complete the Authorization to Release Information form (included with the application) and have it notarized. Complete the Special Accommodation Request for the NCLEX and submit with your application if applicable. Check the status of your application online and register for a criminal background check after 7 to 10 business days. Register for the NCLEX-PN on Pearson Vue’s website. Provide a valid social security number on the application. Submit evidence of nursing education and credential evaluation from CGFNS. The agency must send an original copy of the report directly to the Board of Nursing. Submit a CP report if you graduated from a non-English speaking program. Applications are valid for one year after submission. You must submit another application, fee, and supporting documents if you do not complete the application within that time. If you were licensed in another state or U.S, jurisdiction, you must apply for licensure by endorsement to practice in Mississippi. Complete the application. Incomplete applications will be returned. Enclose the $60 application fee using a check or money order payable to the Mississippi Board of Nursing. Attach a signed and dated 2” x 2” passport type photo to the application form using transparent tape. Indicate your primary state of residence. The MSBN will issue a single-state license if your primary residence is another non-compact state. Sign and notarize the application. Verify your license using Nursys if your original state is licensure participates. If your state is not listed, you should mail a notarized Verification of Original Licensure form to the licensing agency for verification. The agency should mail the completed form to the MSBN. Include your name, license number, etc. on the form and any applicable fees for faster processing. Submit an official transcript of your nursing education directly to the MSBN. The transcript must indicate the degree conferred and graduation date. Complete and notarize the Authorization to Release Information. The Board may issue a temporary permit upon request. The non-renewable temporary permit lets the LPNs work while the license is in progress. The permit expires in 90 days. The fee for the permit is $25. If requesting a temporary permit, attach a copy of your current/ active LPN license showing the expiration date. LPN licenses expire on December 31 during odd-numbered years. The renewal period begins October 1 where LPNs can begin submitting their renewal requests online. There are currently no continuing education requirements to renew or maintain an LPN license. However, a nurse can maintain the competency relevant to his or her field of practice. The Board does not impose minimum practice requirements to maintain a license. However, those who have not practiced within 5 years must take a refresher course. Employment of LPNs is projected to grow about as fast as the average for all occupations through 2018 in response to long-term care needs of an increasingly elderly population. The prevalence of chronic illnesses and the general growth of health care services also impact the need to professional nurses. As close to 20% of the workforce advance to other positions or leave the occupation permanently, new opportunities will open up for recent graduates. But while the projections are positive for the occupation, nurses need to know where to find these opportunities. Many will be sadly disappointed if they limit their search to the nation’s hospitals as employment in this sector is on a decline. Modern technology now makes it possible for patients to undergo complex tests and procedures in physicians’ offices, outpatient care centers, and community clinics. As a consequence, employment for LPNs will largely grow in these centers even as they decline in the hospitals. While there is still room for LPNs in various hospital units, applicants will face fierce competition to secure the limited positions. Moreover, hospital administrators are more likely to hire LPNs with years of experience and training. Newly licensed nurses seeking employment in long-term care, home health care, physicians’ offices, outpatient centers, and other non-traditional places can begin practicing within 4 to 8 months of graduation. The median annual salary of LPNs was $36,600 in May 2014. The middle 50 percent earned between $34,560 and $41,957. The lowest paid LPNs in rural and low-income areas earned less than $32,260, and the highest paid in Mississippi’s bustling metropolitan areas earned more than $44,330. Not enough information about the school & who is it credited through ..
All community/junior colleges in MS should have a program. Look up your nearest school and see. They should be able to give you more information. Northeast MS community college in Booneville has a great program. I graduated from it on July 30th. All Mississippi community college have a practical nursing program but different requirements.Good Luck!! That is so not true. Being an LPN is not a waste, it’s actually very rewarding. By no means am I saying don’t aim high and continue your education and upgrade to RN but don’t put negative information out on a very positive field of nursing. Just like an LPN isn’t an RN, an RN isn’t a MD…..both field of nursing is fine…. Don’t short change yourself . I have been a LPN 33 yrs and daily regret not going for the gold. Immediately.Always an excuse. When the kids get older,see if I like nursing, when I save some money etc. 99% of hospitals don’t want Lpns anymore and some nursing homes don’t. In many settings you’re not even allowed to administer meds. Besides…part of LPN school now is taught directing you to the RN program.. Thank you Linda Bassett, I totally agree with you. I’m a LPN and love it, I love my career and wouldn’t have it any other way. I don’t know what nursing homes you are referring to but they prefer LPNs and the hospitals are starting to hire LPNs back! If the person is willing to expand their horizons and branch out after getting Hosp exp them 32.00 hourly is possible. I make that in Houston and the work is plentiful. I work in Houston and we are looking to move to Natchez. LPNS are needed especially in doctor offices …nursing homes …. Hospitals do have them in certain areas … It is very rewarding because I still am one … There will always be a need for them… By the way nursing assistants and LPN’s make wonderful RNS…. The thing with nursing and many avenues of life is to much paperwork… Sometimes young mothers have to do something quickly to help make a living and LPN helps … Later if desired make the RN… But there is a need for LPNS especially in skilled nursing facilities …. Lpn ‘s also know much more than someone might think…. I hate I the expression I just an LPN…. Because they are very important to the residents …. They are very much needed …. I’ve been an lpn for 15 years and I promise you I can and have ran circles around some RNs!!! Lpns rock!!!! Wouldn’t trade my title for the world and yes I had the opportunity to go through the rn program!!! What about antonille college? They offer LPN. After being an LPN for so long , Rn school was a breeze for me. I wouldn’t trade my journey for nothing. !! Praying Cynthia!! You will do well!! I was an LPN for 10 years before I got my RN.. When I started LPN school I was. Young mom (19) and DETERMINED to take care of my child myself and NOT depend on anyone or the system to do it for me!! When I finished, got a good job that paid our rent, car note, food , insurance with NO outside assistance. So for someone to say it’s a waste of time irritates me!! Furthering your education and getting your Rn is a great accomplishment!! But at the time LPN was what I needed is was part of Gods master plan for me and my son!! It made a way for me !! (Off my soap box, carry on)!!! Lol. I’ve been nursing now for 23 yrs!! And love it!! Thanks!!! To God be the glory!! I’ve been trying to get into the LPN program for numerous years with no avail. I’m still trying but was told my ACT score was too low(16). I will be retaking my ACT again very soon in hopes of getting a higher score and an acceptance letter. MarKetta, Antonelli College in Hattiesburg, ms. Has a new LPN program and just graduated their first class. Maybe you can contact them for information. Cecily, where are you from?? Ms. Cotton, I know primarily the LPN program is an on campus program. Hattiesburg is about 4 hrs away from where I live. Thanks though. Apply at ICC, Northeast, and Northwest in Oxford. The more schools you apply to, the better your chances are to get accepted. I started as an LPN 20 yrs ago, got my ADN 11 yrs ago, and my BSN in August. I just started the FNP program at USM! An LPN is a wonderful place to start, and there is ALWAYS room for advancement! Copiah Lincoln in Wesson has a program. What city is that in. It won’t let me open it but I’ll try later when I have more service lol but thanks. Being an Lpn is definitely not a waste of time,RN can do more but some of them are lazy and don’t wanna get their hands dirty,but Lpns are the best and will help you reach your potential.So prayer about and go for it. I agree and most RNS just want the title and more money, some lpns make more than RNs and Don’t even realize it. I’m praying that I get a higher score on my ACT as well. I’m praying that The Lord grant me the opportunity become a LPN!! I make 32.00 an hour/49.50 in ot i have been an LPN for 15 years. I work agency in Houston, not a bad idea to get the training and we will always be around. The need is too great. What agency do you work for that pay that much an hour? Yes!!! What agency is that??? I need that information!!! SEV staffing . Baytown TX 281-425-1480. All of them in the area are comparable, give or take 2.00, the need of great there. Must have 2 year of recent Hosp exp. I agree Cassandra Bolton-Cotton I don’t know you but I am so proud of you..I have been a lpn since 04 and it’s not a waste of time. It has helped me survive in this world and it says so much more than living off the government and working taxpayers money. I will never understand why people want to degrade someone bc they are trying to better theirselves..
Why yiu tag me in this? I would recommend getting getting LPN from a community college rather than Fast Track schools like Antonelli only because you have to pay way more while getting the education for it. That and because nursing is something not to be playing with and its a serious career field to be going into because it is a medical field. Just make sure its the right field that you would enjoy as a future job. Good luck to anyone pursuing LPN or RN!